The Green Living Show ran this past weekend (April 15-17 2016) at the Metro Toronto Convention Centre. Environmental enthusiasts and those interested in healthy nutrition, visited the venue in throngs. 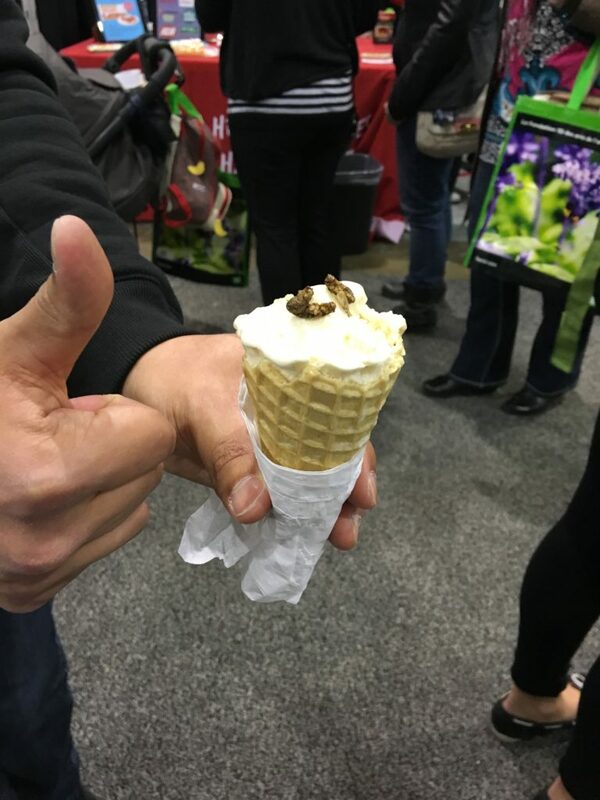 New this year were exhibitors bringing their insect protein goodies. 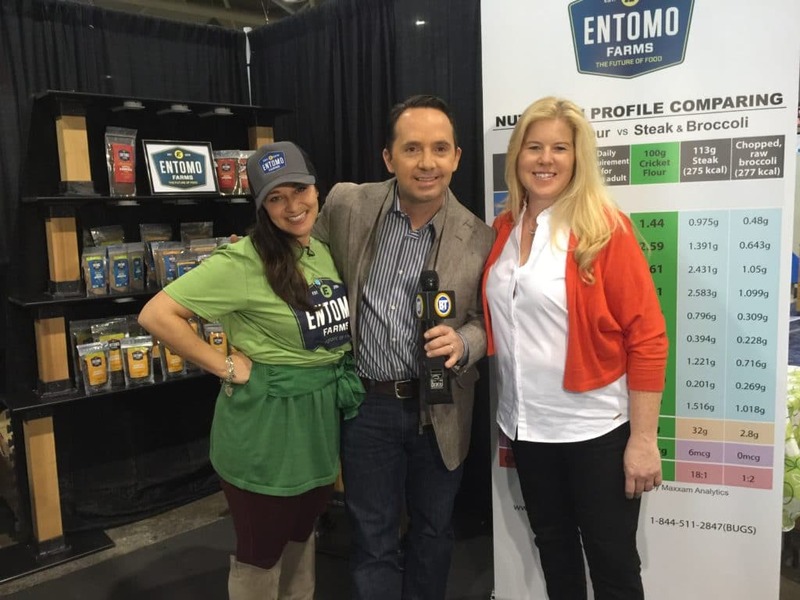 Entomo Farms was amongst one of the exhibitors, along with partners Ento Eats (delicious baked goods with cricket powder), and C-Fu Foods launching their new line One Hop Kitchen (bolognese made with their C-Fu mealworm and cricket ingredient). The response was remarkable. 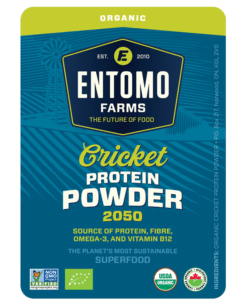 Most people had ‘heard’ of the emerging entomophagy phenomenon, and were eager to sample this ‘foreign’ superfood. Whether, people snacked on whole-roasted insects, sampled a moist morsel of banana bread baked with cricket protein, or engaged in the taste test of mealworm bolognese and cricket bolognese, the results were the same. Everyone was amazed that this foreign food really wasn’t something strange to their palate at all- rather, it just tasted familiar- nutty, a bit earthy (depending on what they sampled). 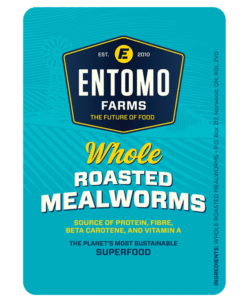 Entomophagy isn’t just a trend for foodies- it is the answer to an ongoing environmental problem that is only going to get worse over time. Embracing entomophagy is happening now. 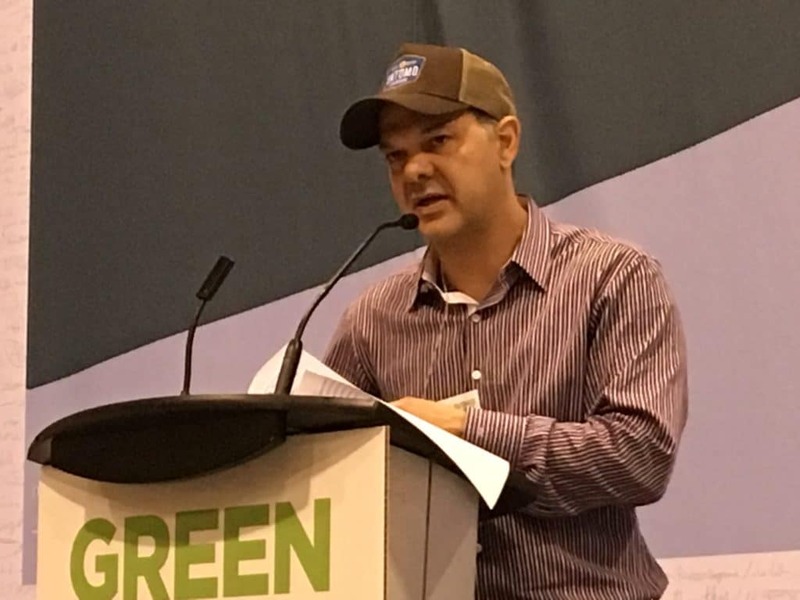 Dr. Jarrod Goldin, co-founder and president of Entomo Farms, was invited to speak on a panel on the main stage at the show- The Future of Food- Speaking Towards a Sustainable Diet, was the topic of the discussion, and fellow panelists included representatives from Informa, The University of Guelph, and Hooked. Jarrod, and Jennifer of Ento Eats revisited the main stage the following day with a discussion and cooking demo, where Jennifer whipped up a delicious batch of granola for everyone in the audience to try. 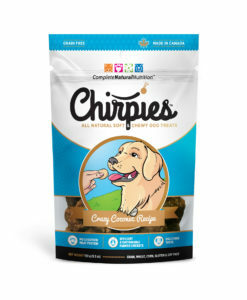 Still haven’t hopped on the entomophagy wagon? Now is the time! This entry was posted in Community Hub and tagged bug flour, cricket flour, cricket powder, eat bugs, eat clean, eat insects, edible bugs, edible insects, Entomophagy, future of food, insect flour, insect powder, mealworm flour, mealworm powder, superfood, sustainable.